Enjoy an authentic grand piano experience with Casio's Privia PX-870. 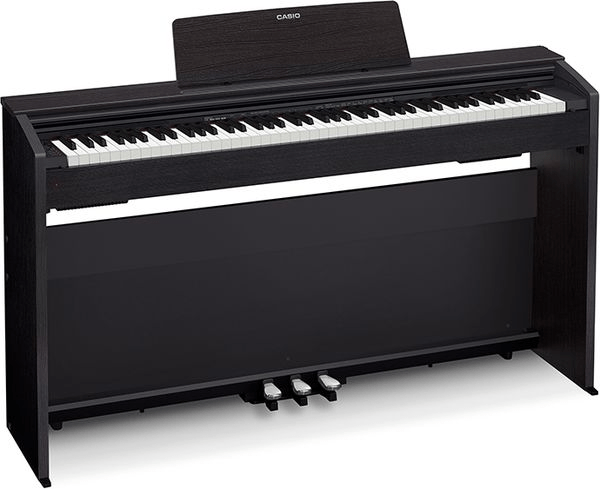 Casio's multi-dimensional AiR processing provides true-to-life piano sounds, while 88 full-size scaled hammer action keys with simulated ebony and ivory textures ensure realistic playability. Besides a great-sounding four-layer stereo grand piano, the PX-870 comes with 19 additional tones to add dimension to your playing. And everything will sound larger than life, thanks to this digital piano's 40-watt, four-speaker Sound Projection system. Teachers will appreciate Casio's Duet Mode, which allows two people to play the same notes simultaneously. And along with a stylish modern design including a sliding key cover, music stand, and three-pedal board, the Privia PX-870 will look great in any setting. To reproduce the sound of the finest acoustic grand pianos, the Privia PX-870 features Casio's proprietary AiR (Acoustic and intelligent Resonator) processor. 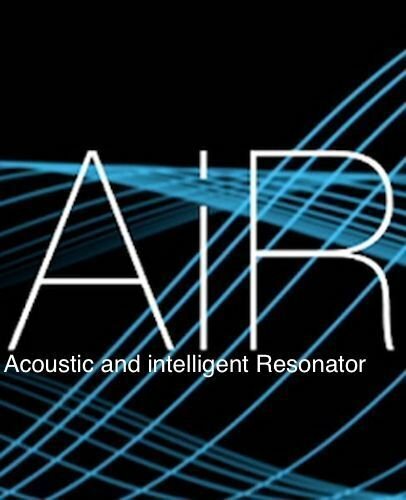 Accessing more than three times the memory of the previous generation, the AiR processor utilizes grand piano samples recorded at four dynamic levels of sampling to deliver grand piano sounds with long natural decays and remarkable expression. To further the grand piano experience, AiR adds realism by simulating the sound of the open strings when the dampers are raised by the pedal. This powerful 40-watt, 4-speaker system fills the room with rich, detailed sound. Best of all, the sound radiates from various places on the PX-870's cabinet, much like a traditional grand piano. Beyond that, you'll enjoy a balanced sound across the entire frequency range, at any listening volume, by virtue of this digital piano's Volume Sync EQ. 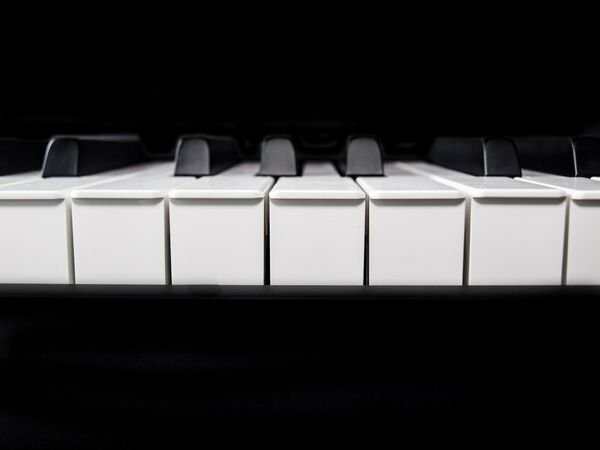 You'll deliver an expressive performance, thanks to the Privia PX-870's Tri-Sensor II Scaled Hammer Action piano keys, which are accurately scaled across the entire key range. Beyond that, simulated ebony and ivory textures provide an authentic touch. The PX-870's touch sensitivity is adjustable, allowing you to tailor it to your playing style, while its customizable hammer response accurately reproduces the delay between when a key is struck and a note is produced.